I never got the chance to say this. But. Merry Christmas and happy new year, friends! 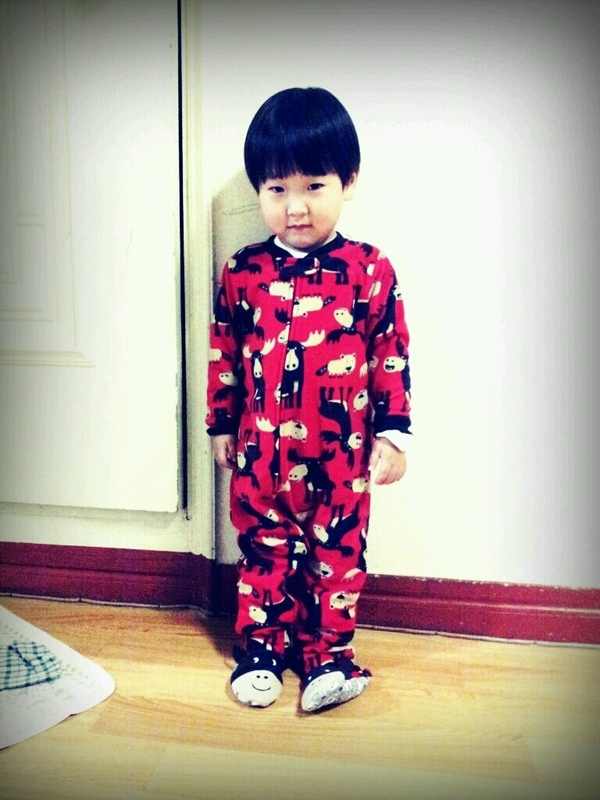 This is a picture of my little cousin from Korea. My mom bought a onesie for this cutie. My aunt thought that it was a casual outfit so she almost took him to the market in his onesie! Close call, close call. I’m actually not sure if onesies exist in Korea or in Asia. Hope everyone had a blessed Christmas in celebrating the birth of Jesus and a great start in the new year! New years resolution anyone? I have some goals for the new year that I took note of mentally. I only took brief mental notes just because I usually don’t really believe in new years resolution. But. Somehow this year, I felt more compelled than ever before to have some goals set. They’re just not set in stone because I still have yet to figure out the logistics. When making goals, you have to have a plan! Perhaps I will share some of my new years resolutions in the near future when I have them figured out. If you have some new years resolutions this year, I wish you the best of luck! Don’t forget to be strategic, realistic, and optimistic! Go you!